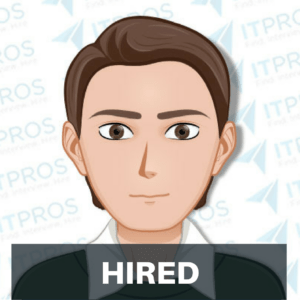 IT Support Manager – HIRED! Hands-on IT Support Manager looking for an opportunity to join a team where there is room for career growth. Location Requirements: Ideally looking for opportunities in and around West Chester, PA (i.e. King of Prussia, Wayne, Chester, etc). Interview Notes: Currently working on-site at a college managing a team of 12 (technicians and systems admins). The team supports a large number of faculty/staff and students. Technically well versed since he worked his way up from help desk to sysadmin to support manager. He enjoys opportunities to roll up his sleeves and work with the technicians, helping with large projects or mentoring others on the team. He likes to lead by example. He has experience reviewing procedures, reorganizing teams, tracking metrics, mapping workflows, and implementing changes for improved efficiency and reduced open ticket times. Has been involved in M&A, due diligence and merging systems.